Home › Crew Supply Vessel › Fast Crew Supplier › Fast Crew Supplier 2610 › Fast Crew Supplier 2610 "Marineco Mariah"
This was the second FCS 2610 Twin Axe to be built for MarineCo UK. In late December 2011 Damen Shipyards Gorinchem delivered the 'MarineCo Mariah' in time for her first job on a German offshore wind farm on a long term charter. The 'MarineCo Mariah' is a sister vessel to the 'MarineCo Shamal'. 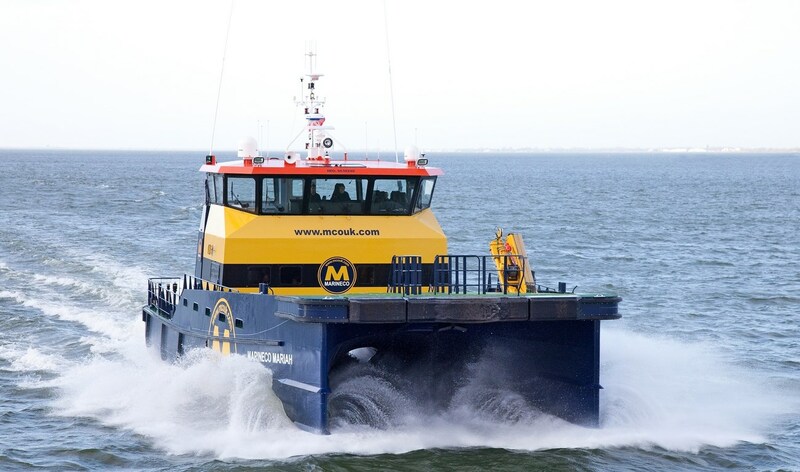 UK-based MarineCo was the first client to order the Fast Crew Supplier 2610 design. Since MarineCo's first order Fast Crew Supplier 2610s have been sold to several companies in the United Kingdom, the Netherlands, Belgium, Ireland and Sweden.